Hey, bookworms! Welcome to our November/December Wrap-Up! Let’s get started! Dawlyn: I had a great last two months of 2018 and I’m excited to talk about them! Let’s get into it. November: I read 5 books and completed my goodreads challenge of 52 books for the year!! Ugh I loved this! I had been so excited about this collaboration between Adam and Becky because I love them both and boy did it deliver! This is the co-write I didn’t know I needed and now I just want all of my favorite authors to write together! They’re writing came together beautifully and so did the worlds they’ve both written about in their own books.Aurthur and Ben are so adorable, complicated, and relatable. All I need to know is, when will we get another from them?! This was a hard rating for me for many reasons. I really enjoyed how similar this retelling is to the well known story of beauty and the beast. I loved sister aspect and the twist on the Beast’s curse. The overall plot though moved really slowly in my opinion and I struggled to push all the way through. I really loved the ending though. Sandhya Menon did it again! She created a cute contemporary romance with a flawed, but relatable main character. She brought to her story a main character of color, and culture that we very rarely see at the forefront of a contemporary, and was able to touch on these aspects in a way that shines a light on them, without them being the focus of the plot. I wasn’t initially sure about how everything would play out in the end, and whether or not I would like it or not, but I loved it! Can’t wait for her next book! What a fantastic end to such a unique series! Somehow this ended up being my least favorite, but I still LOVED IT! This story was wrapped up perfectly and Im so happy I was able to finish out this series before years end. As an introvert, i really enjoyed and appreciated this book I learned a lot about myself and others as well. Though I couldn’t personally relate to everything in this book, I still enjoyed all of it’s content because I was left feeling that anyone, whether an introvert, extrovert, or a little of both, can take away something from this book. December: I read 3 books, surpassed by goodreads goal by having finished 55 books after my 52 book goal, and completed our 2018 Book BIngo! I loved this!! I don’t think I’ve read a direct Roman historical fiction before and this one makes me want to find more books from this time period. I loved the roles that every character in this story played in the overall plot , and I really enjoyed how everything played out. Though I was happy that the romance in this story didn’t take a central focus, I took issue with how underdeveloped I felt it was. Though I don’t normally mind instalove, this one really did feel like it came out of nowhere with very very little build up. Other than that, I really enjoyed this story and I’m excited to see what happens next in the series. No surprise it was just as fantastic as it was the last several times I read it! So happy to be retreading this series again! This is a wonderfully diverse collection of historical fiction stories!! Though there were a few stories that I didn’t personally connect with, i overall loved these female led stories. It was great to see some of my favorite authors contribute to this anthology, especially because historical fiction is not the typical genre for many of them. I’m excited to read the next installment in this collection. Krista: I didn’t get to read as many books as I wanted to the second half of this year because I started 2 new jobs. I unfortunately was not able to complete my Goodreads challenge, or finish our 2019 Book Bingo. However, I read 39 great books this year! I completed 29/40 spaces on book Bingo, and I’m excited to talk to you about the 2 books I read in December that wrapped up my wonderful 2018 reading year! I really enjoyed this book, I thought it was a solid fantasy read! I thought it started off a little slow, but it did pick up for me about a quarter of the way through. I really enjoyed the magic system and felt that it was clear and unique. I really enjoyed the characters in this book, I just wish they would have used their words a bit more in certain situations. All in all, I like this book and would recommend definitely recommend it. The ending surprised me, and I’m interested to see how everything plays out in the next book. Harry Potter and the Sorcerer’s Stone by: J.K. Rowling. Book Bingo 2018: We created our own book bingo and we will updating our progress in each monthly wrap-up. If you’re interested in participating, and/or want to learn more about it, click here! Dawlyn: I completed 6 books in November and December for bingo and I decided to add some past books read in the year to the lis as well. Krista: I added 2 books to Book Bingo! 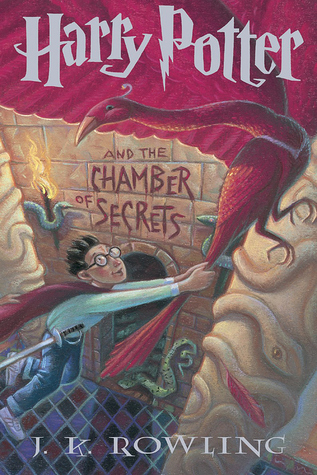 A book that’s been on your TBR forever: Harry Potter and the Sorcerer’s Stone by: J.K. Rowling. Thank you so much for taking the time out to read our post! Have you read any of these books? What did you think of them? We’d love to hear your thoughts in the comments! Dawlyn: I’m sad too I really wanted to love it! I’m glad you did though! Most people who I’ve seen read it did too! What a great looking couple months of reading! I thought Hunted was a really solid retelling. And everyone seems to love the Illuminae Files series – I really need to try it. Krista: I love Illuminae but still need to read the other two in the series! I’m glad Dawlyn has liked them just as much as the first one. The first one was amaziiiing, so I definitely can’t wait to get to the others!